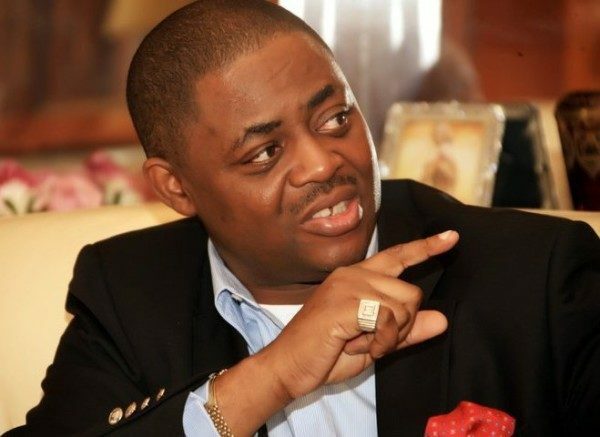 It has been gathered that former Aviation minister, Femi Fani-Kayode, has told President Muhammadu Buhari, the All Progressives Congress (APC) and its national leader, Bola Tinubu, to bear in mind that Nigerians have rejected them. Fani-Kayode wrote: “I have no doubt that this is true. The hottest place in hell has been reserved for Buhari and his political associates who I can best describe as a congregation of incorrigible crooks and scammers and a lawless congress of sadistic and irredeemable miscreants and baboons. By God’s grace, when the time comes, they will enter into the burning flames of hell head-first. FFK has tweeted this after APC chairman, Adams Oshiomole, led other chieftains of the party to see SDP candidate in the Osun state governorship election, Iyiola Omisore, yesterday September 25th. The visit was to get Omisore to work with the APC to ensure they win the rerun election in the state slated for tomorrow, September 27. During his throughly uninspiring six minute broadcast this morning instead of appealing to Nigerians for patience and understanding and instead of apologising to them for the incompetence his government has displayed over the last 2 years, President Muhammadu Buhari has returned home after 105 days on his sick bed in the United Kingdom and not only insulted Nigerians but also threatened them. Buhari He made no attempt to reach out to the people, to build bridges and to calm the troubled waters in what is clearly a traumatised and divided nation and instead he sought to intimidate and talk down on our people and his perceived enemies. The President appears to have failed to appreciate the fact that times have changed and that he cannot impose his will on others. He claims that his views represents the thinking of the majority of Nigerians yet he refuses to accept the idea or acknowledge the legitimacy of a national referendum. He is meant to be a servant leader and a democratically-elected President and not a military dictator, a Caliph or a King. If he wants to enhance national unity, which is of course a noble and righteous venture, and if he really wants Nigeria to remain one then he must desist from his dangerous and provocative rhetoric, he must treat all Nigerians like human beings and as equals, he must exhibit a much higher degree of sobriety and accomodation of contrary and dissenting views and he must display far more sensitivity, understanding and restraint in his interactions and discourse with the opposition and those that do not agree with him. Failing that and without a quick recourse to the devolution of power from the centre and the neat and timely restructuring of what is essentially a fake pseudo-federation and a functional unitary state, the agitation for emancipation will become more pronounced, the various ethnic nationalities in this country will eventually exercise their right of self-determination and our nation will eventually break. The fault lines are there and they are visible for all to see. We must recognise our differences, acknowledge our fears, concerns and anxieties, sooth frayed nerves, bridge the gap, make the necessary concessions and heal the wounds or we must prepare for the very worse in the not too distant future. That is the way forward and that is the only way to ensure and guarantee lasting peace and unity. Since the President mentioned the late and reverred Chief Emeka Odumegwu-Ojukwu, the Ikemba Nnewi, the former Head of State of the old Biafra and the Eze Gburugburu of the Igbo, in his morning address let me add the following. If this great man were still alive today to witness what his Igbo people have been subjected to over the last two years under the Buhari administration he would have been the first to insist on Biafra all over again. And the truth is that Ojukwu, Major Chukwuemeka Kaduna Nzeogwu and the great Zik of Africa, the Owelle of Onitsha, Chief Nnamdi Azikiwe have collectively resurrected in a young lion from the east called Nnamdi Kanu who he must handle with the utmost care. What the President is unable to grasp and fails to comprehend is this: we are not children, we are not animals and we refuse to be second class citizens. Simply put we would rather die as free men, standing on our feet and resisting evil, tyranny and subjugation than live as servile slaves and pliant bonded servants with bowed heads and on bended knee. All Mr. President’s inappropiate talk about “red lines” and his insidious threats of bloodshed and bloodflow cannot change that and neither is anyone intimidated. Such talk is reckless, dangerous, irresponsible and inappropiate. Worse of all other than saying that every Nigerian has the right to live in any part of the country, which in itself is undoubtedly a welcome and gratifying assertion, he refused to order the arrest or threaten to cage and bring to justice those that gave the Igbo people a chilling quit notice and that have promised to unleash genocide, ethnic cleansing and mass murder on them if they refused to abide by it and leave the north by October 1st.. 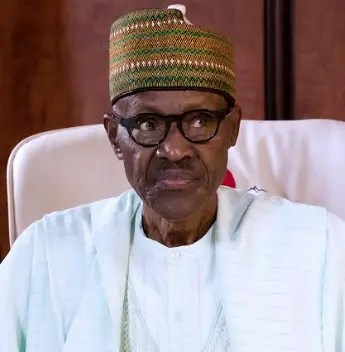 This strange omission and instructive refusal by Mr. President is unacceptable and it feeds into the narrative that there may well be some kind of frightful hidden agenda unfolding. It was also a missed opportunity to allay the legitimate fears and genuine concerns of many Igbos and southerners that live in the north. I sincerely hope that history does not repeat itself in this regard. Finally the President expressed his concerns about the social media. The truth is that the internet has always been the nightmare of tyrants and dictators all over the world ever since it came into existence. This is because it is designed to ensure the free flow of information and to expose their excesses and atrocities. Now that our President has acknowledged his disdain and hate for this medium we will increase our efforts to make life more difficult for his government through it. We will keep them on their toes and hold them to account by utilising the social and traditional media all the more. What he wishes to hide shall be made manifest and known to all. His morning address was shallow, insensitive, uninspiring and divisive and, judging from what I saw, I believe that he should resign, go home and take care of his health. That would be the best thing that he could do for Nigeria and that would be the best way to enhance national cohesion and unity. The horrific events in Ozubulu town in Anambra state that took place today are shocking and barbaric. Dozens of worshippers slaughtered in the Church and at the alter by unknown masked gunmen. Anyone that doubts that should read the lyrics of that shameful song and hear what those it was written by instructed their people to do. This country has become ungovernable and I put the blame squarly on the shoulders of the Buhari/Osinbajo government who have encouraged this godless barbarity by refusing to arrest the Fulani herdsmen that have been butchering innocent people all over the country. For those commentators in this forum who have never participated in or understand Nigerian politics but who tend to speak and act as if they are the only ones that are sincere about restructuring I have the following to say. From henceforth let it be clearly understood by all, including those that desire restructuring but who gave never participated in Nigerian politics, that we can never achieve it through the existing constitutional structure or the National Assembly. This is because the system is rigged and designed to protect and preserve itself and because the core north effectively has a power of veto in the National Assembly which it will always exercise in order to block any form of restructuring. It is this point that people like Nnamdi Kanu and other ethnic nationalist leaders came to appreciate long ago and it explains their “hardline” posture on these issues. Finally mark this: if it does not eventually come then I say let us cease to be one nation. I would rather live as a free man in an independent Oduduwa Republic than continue to live and die as a slave in the Federal Republic of Nigeria. “Instead of respecting himself, shutting up and seeking for forgiveness from God for betraying his Igbo people, addressing his elders and betters in an inappropiate and insolent manner and playing the fool, the village idiot called Rochas Okorocha has once again fouled up the public space by opening his dirty mouth and talking about Chief Femi Fani-Kayode, the former Minister of Culture and Tourism and former Minister of Aviation. This time around he talks about FFK not having what he calls “native sense” and he goes on obsessing about his distinguished family, privilaged upbringing and noble lineage. Clearly Rochas is obsessed with FFK and he has come to appreciate the fact that there are some things, like class, a good lieage and integrity, that money cannot buy. Yet the truth is this: it is not a crime to have been born into a well-to-do family and neither is it a sin. The fact that Rochas, bu his own admission, was once a street-hawker explains his lack of appreciation of such matters and clearly he still resides in the gutter where he came from. They say that a pig that wears lipstick remains a pig. And that is precisely what Rochas is: a filthy, greedy and consiencless pig who does not know when to shut up. He has no decorum, no finesse, no decency, no class, no education and no integrity. He is a primitive and bush villager of questionable paternity whose father remains unknown even to his mother. If he is truly a man and not the animal that we know him to be let him come on a live television show with FFK to debate these issues including his sordid and filthy history and background and then Nigerians can decide for themselves who really has “native sense” between FFK and him. We repeat that a man who constantly speaks up for and supports a govermment that consistently slaughters and routinely massacres his own igbo people can only be described as a sociopathic self-hating Igbo who is suffering from a terrible and debilitating inferiority complex. He was born a slave and he will die a slave. 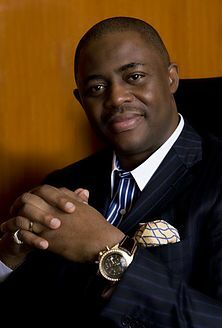 Attempting to compare himself to a courageous, well-educated, refined, confident, attractive, successful and well-bred man like FFK is like comparing fine wine to toilet water. Rochas is scum and nothing more than scum. When he finishes his tenure as governor he will crawl back into the filthy cesspit and hole from which he came. FFK was never a ritualist, a cultist, a 419er, a sodomite, a traitor or a dirty and unreliable street urchin and scammer. He never ruined the lives of millions, bowed before strange gods and slept in coffins to make his money. He never sold his soul to the devil or his body to reprobate men who lust for other men in return for money and power. Unlike Rochas FFK frowns upon such things and comes from a noble heritage and a spiritually clean and strong foundation. Rochas knows where he has soiled his hands and what the source of his power and wealth is. He has much to answer for and the evil spirits that, by his own admission, have been tormenting him ever since he became governor will soon take their pound of flesh. The sword of the Lord is poised to strike and the judgement of God awaits him for his many indiscretions and sins. Thereafter comes hellfire”. SIGNED: JUDE NDUKWE, SPECIAL ADVISOR (MEDIA) TO CHIEF FEMI FANI-KAYODE.